Please join Michael Santucci at the Fall Social Mixer hosted by the Thomas W. McCormick Scholarship Fund! 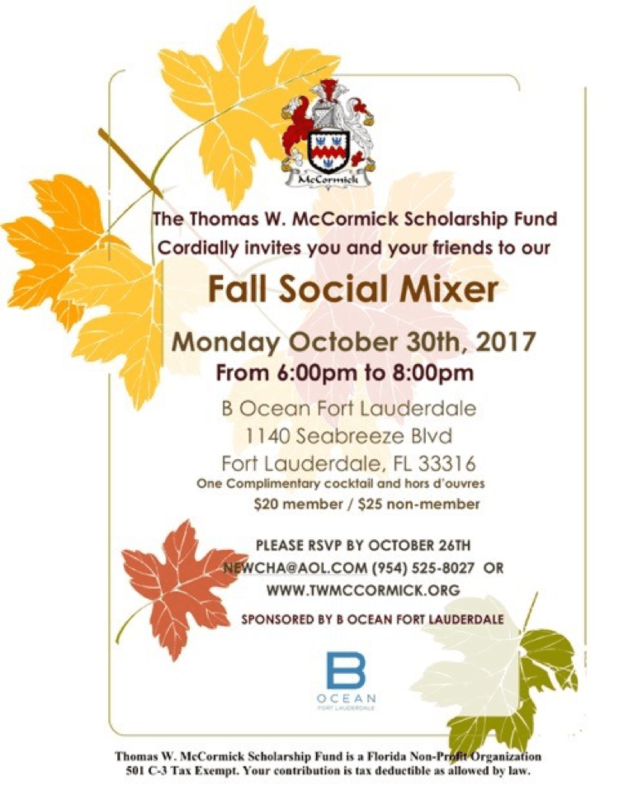 Sponsored by B Ocean Fort Lauderdale, the Fall Social Mixer will be the place to be on what would otherwise be a mundane Monday evening. Enjoy music, cocktails, and hors d’ ouvres for a good cause!